Three weeks ago, we held a workshop on tagging content to the new policy pages with managing editors from government. It became clear that the tagging guidance for all of GOV.UK is now out of date. For those who couldn’t make it, here’s an overview of our current approach to tagging and why. As you know, we're shifting the organising principle for GOV.UK Whitehall publisher content from a number of different groupings (eg policies and detailed guidance categories) to topics. This is so that we’ll eventually have a single, unified information architecture for all of GOV.UK - with easy to find content for the general public and further specialist and policy content linked and navigable by browsing. We don’t yet know exactly what the end result of this project will look like. But we’re making these changes based on continuous user research to learn what works best for the enormous diversity and breadth of needs that citizens, businesses and others have of government. This is still a work in progress, so our tagging guidance to government publishers will evolve as the project progresses. Here’s what’s going on now. It's no longer mandatory to tag all content types to a policy when publishing in Whitehall publisher, but policy-related content types - policy documents, consultations, research and analysis and press releases - should be. Many organisations publishing on GOV.UK are publishing to topics (currently called ‘specialist tagging’ on the backend) - first introduced for specialist professional content during transition, but now (slowly!) being rolled out to all publishing by all of government. Detailed guidance categories have been removed. We now link from (some) mainstream browse categories to topics instead. The browse category we used to call ‘Topics’ has been renamed ‘Policy areas’. We’re keeping them for now because they power the email alerts. The policy pages have been updated based on user research to only show the content policy users found most useful. Specifically, the audience for policy is other people in government, the media, academics, NGOs and professional bodies who want to know the history and evolution of a policy - not professional users needing specific guidance on interacting with government. We’ll work with you to create more topics as the information architects finish their audit of content that gets published on GOV.UK, so that all information published on GOV.UK will have a useful, relevant topic to live in. All mainstream content will be tagged to relevant topics. We’ll start to change layouts for browse and topic pages to help users get to where they want to go (including the right level of complexity for their needs). Tag your content to the relevant policy area, so users get email alerts. This is a mandatory field. 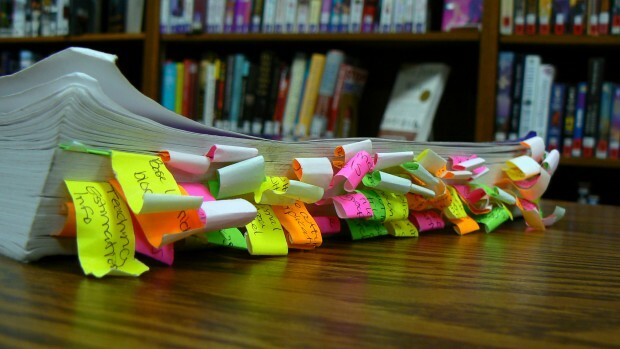 If there’s a logical topic for your content, tag it to that. This is currently an optional field marked ‘Specialist tagging’ (soon to be relabeled as ‘Topics’). Don't tag your content to a topic if there isn't a relevant one available. If there’s an obviously missing topic for a swathe of your organisation’s content, raise a support ticket with GDS suggesting the topic, including the rationale and the users. The response may be slow, as we’re working through all of GOV.UK systematically. Don’t tag new content to a policy unless it’s content the audience for policy will value. Content that helps users complete an action or stay legally compliant should never be tagged to policy (eg forms, statutory guidance, regulations). If you’re not sure about tagging to a policy, talk to the managing editor from the lead department. The lead department will always be listed first on the policy, as ‘from’ that department. We’re updating our guidance to government publishers next week to reflect the situation now, but this will definitely change again as we get closer to having a single unified browse structure for all of GOV.UK. We’ll continue to blog about the changes, post in Basecamp and run workshops to show the changes as they happen. Image by Richard Yuan on Flickr. Used under Creative Commons. Content tagged to a Topic doesn't automatically appear on the topic page for users to see (but it is listed in the 'latest' section if a user knows what to click on). What steps are going to be put in place to curate Topic pages so the right things appear? This needs to be carefully managed where Topics are shared across agencies/departments. You suggest talking to the managing editor from the lead department - this is obviously a great idea, but publishers won't necessarily know who that is, even with access to Basecamp. Does GDS support some sort of directory for GOV.UK publishers? Could this be part of the user-account info setup in Whitehall Publisher? Thanks for your comment, Lucy. If you are on Basecamp, we'll post a list there. However it does get out of date quickly, so you're welcome to just ask there. Otherwise, if you <a href="https://support.production.alphagov.co.uk/">raise a ticket</a> or <a href="https://www.gov.uk/contact/govuk">send us a comment</a> we can send you the name. If you publish to GOV.UK but you're not on Basecamp, send us your email address and we'll add you.